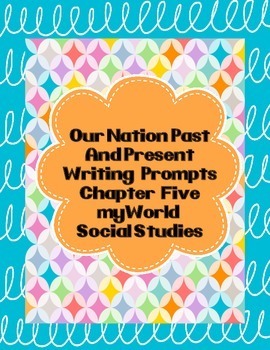 These writing prompts are to be used with myWorld Social Studies textbook for second grade. 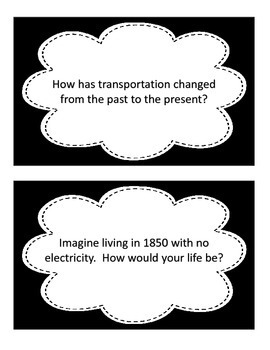 These writing prompts will help students analyze what they've read and think critically. Option one is to simply cut and have students glue to their Social Studies interactive notebooks. When finished with their writing students may share with a partner or the class. A second option is to cut, laminate and use as task cards. Simply place in the writing center for students to answer using a dry erase marker. Set includes 24 writing prompts to be used with Chapter 5.